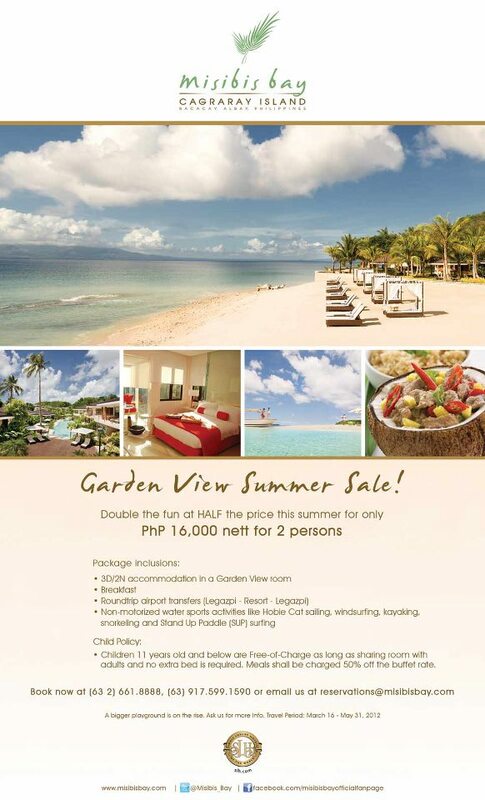 Misibis Bay is offering a very special summer promo, for only PhP 16,000 nett. This is already inclusive of 3day/2night accommodation for 2 persons in a Garden View room, with breakfast, roundtrip airport transfers, and non-motorized watersports like Hobie Cat sailing, windsurfing, kayaking, snorkeling and Stand-Up Paddle surfing! Promo runs from March 16 - May 31, 2012. This is a treat! After allm it's aluxury resort and they're offering is cheap versus the published rates. I heard a lot of good reviews and that the staff are really courteous. Last January 2012, 2NE1 (one of the popluar Kpop groups in S.Korea) went there. Oh, I want to go as well! Apart from Bellaroca, I want to check out this place as well.